For many health care facilities, property and building leases are a necessary component of doing business. However, the rules for how lease expenses are categorized are changing and organizations will have to account for these expenditures differently going forward. In February 2016, the Financial Accounting Standards Board—in conjunction with the International Accounting Standards Board—issued new lease accounting guidance, ASU No. 2016-02, Leases (Topic 842). These new standards will take effect for nonpublic companies (including most non-profit health care organizations) for fiscal years beginning after December 15, 2019. 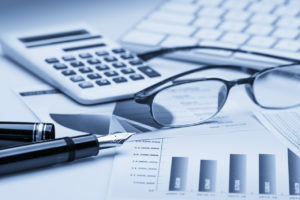 However, these changes must be reflected in comparative information from prior years, so if your organization includes two years of balance sheets in your annual report, your 2019 report would require restatement using the new standard. Early adoption is permitted and for leases existing at, or entered into after, the beginning of the earliest comparative period presented in the financial statements, lessees and lessors must apply a modified retrospective transition approach. This new guidance is intended to simplify lease accounting and allow financial statement users worldwide to easily compare reports from different organizations. This also will eliminate the concept of off balance sheet treatment for “operating leases” for the vast majority of lease contracts. Healthcare CFOs have always known that leases come in two types: operating leases and capital leases. Under an operating lease, you would typically record the rent as an expense over the lease term. Capital leases, on the other hand, are classified as interest and obligation payments on the balance sheet (similar to a mortgage). The contract conveys the right to control the use of the identified asset. Lessees will recognize a “right-of-use asset” and a “lease liability” for virtually all their leases. The liability will be equal to the present value of lease payments. The obligation will be accounted for similar to debt and amortized using the effective interest rate method. The asset will be based on the liability, plus any prepayments, initial direct costs, less incentives received, etc. Operating leases will result in a straight line expense (similar to current operating leases). Finance leases will result in a front-loaded expense (similar to current capital leases). Under the guidelines, at a lease’s inception, leases with a term of over one year must be classified as either finance or operating, with both classifications resulting in the recognition of a defined “right of-use” asset and a lease liability on the balance sheet. However, recognition in the income statement will differ depending on the lease classification. Finance leases recognize the amortization of the right-of-use asset separate from the interest on the lease liability and operating leases recognizing a single total lease expense, similar to a rent expense today. These new standards apply to all leases, from commercial real estate to equipment leases, such as copiers and telephone systems, so adopting them may require new processes and controls. Insight into the extent of revenue and expense recognized and expected to be recognized from existing contracts. Also, a lessee shall assess whether a “right-of-use asset” is impaired and shall recognize any impairment in accordance with GAAP/IFRS Rules. As your organization prepares for the upcoming guidelines, you may need to educate your board members and other financial statement users regarding the changes and how it will impact them. While the implementation timeline is two years away, taking the time to plan ahead and align your financial reporting to reflect the new guidelines can help your team be fully prepared once the guidelines are enacted. Steve Austin with Swenson Advisors is a business referral partner of Greg Brown and co-authored the original article with Greg Brown.